I can only tell you to research and ask lots of questions. I feel that we can say with confidence that we are reputable breeders. What makes us feel that way? We care. We care about our dogs. We care about their health, temperament and structure. These three things are what I feel are important for any dog to do anything rather it be competing in shows or just wanting a health pet to live with. This is what we want as owners and that we want to share with you and your family. I choose to compete with our dogs. Mostly because I want to prove that they are worthy of what AKC considers a dog to become a champion. Champion in conformation, obedience, herding, agility. I want to produce better dogs for myself. Not to mention that I am competitive and love showing, and grooming! I do want to win, I do want to have the best dog, I do want people to want a "Shana Dog" but beyond the winning, I want a dog that I can live with for years to come. Breeding is expensive. When you choose to do any of the competitive sports offered, you need a healthy, well structured dog, with a good temperament. I think all levels of competition owners should have their dogs eyes and hips certified. How can you expect them to jump, gait or even see if you do not follow up with health certifications? The breeder can take all those steps in the dogs they breed but you need to continue. Ok so you don't want to compete. You just want a best friend, great! You still should want to continue to find out why your dog is having trouble jumping up on the bed. Is it age? weight? or back or hip problems? This is part of being a concerned owner. We do all kinds of testing before we breed our dogs. Most have already achieved titles. We check OFA (Orthopedic Foundation for Animals—hips), CERT (Eyes), Heart Echo, and DCM (Dilated Cardiomyopathy). Heart Echo is a combination of tests—EKG, Radiograph, Blood work, BMP test, and Ultra Sound of the heart—by a Certified Cardiologist. We spend thousands of dollars before we breed. I do not breed these animals for "The MONEY" as some people think. Just look at our dogs and you will see that they are special! I don't appreciate when someone advertises that their pups have champion bloodlines and when you look at the pedigree, they have one dog that has earned his championship and that was years ago. Most of our pedigrees have 5 or more generations of champions. 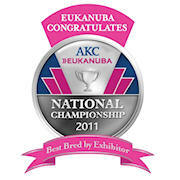 That means we are breeding dogs that have proven themselves with AKC, SSCA, CKC etc. These clubs have rules. Rules to follow with the well-being of the dog in mind. Rules to follow or you don't get in. Yes, they charge money for joining, but that money is used again for the well-being of the dogs. Health research is being done all the time, just like in human research of diseases. We advertise with the clubs we belong to. Word of mouth and over the internet with our web site. Our reputation, and the dogs speak for themselves. WE DO NOT advertise in the newspaper. Why do we sell our pet companion dogs on a spay/neuter agreement? We want to protect the health of our breed. 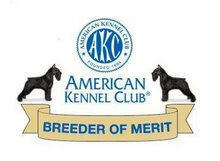 Most of us in the SSCA have dedicated years to study and learn as we breed better dogs. Why should someone buy one of our dogs just because they think it would be fun to breed, have puppies and make all that money!! Well, I have tried to figure how much money we have in a litter of pups … If you do things with your heart and head in the right place, there is No limit on what we do or spend. Now this can easily be considered a business. In one litter we can say the total that I have after selling 10 puppies at $1600 each is $16,000. OK now deduct. Purchase of female, put a Championship on her, Certify her hips and eyes, do thyroid, brucellosis tests on her. Have her up-to-date on vaccinations and heart worm medicine. Pay stud fee, $1000. and up. Proper food, not the stuff you buy at the supermarket, but good natural food @ $50 a bag. OK, now the time has come mdash; oops! your female needs a C-section. Approximately $300 to $1200 or more. 8 pups, 4 born dead? No reason, just dead. OK, now we have 4 puppies to look at. Well, mom gets mastitus and can't feed the pups. Another trip to your veterinarian. Now you start to tube feed goat's milk formula. OK, now they are ready to eat on their own. You buy yogart, raw food. Start them eating. Your washer and dryer never stop running! You are on the phone and computer talking to families wanting a special friend. Now they are up and running around. Puppy pens, dog dishes, shots, dewormed, oh I forgot, go to the vets for tail docking and removal of dew claws at three days old … Now we are at the vets again having ears cropped and more shots. Also want to microchip the pups for the new owners. You now can register them with AKC, $$ then we make up folders for each puppy with shot records, feeding instructions, microchip information, grooming instructions, crate information, pictures of the parents. You have to make airline reservations and buy crates and then run them to the airport or meet people halfway for pick-up. Some do come to your home to get them and we clean our house, groom the adult dogs … So the last 5 months of your life, approximately 150 days or 3600 hours, you have been planning, breeding, selling, giving care, feeding, cleaning,(I could go on,)and now the big day has come and you are rich with the money you have made on breeding your dog! OK, not every litter goes quite that way, but many do. We are not perfect. Life is not perfect. Do we please everyone, probably not. Do we go out of our way to breed good dogs? ABSOLUTELY! As we have grown in the 25 years that we have been breeding, we pass along everything we can on what makes your dog be like ours. It can be training, proper food and vet care. We will be there when you have a question, way after the dog has grown to be a loving member of your family. Do you want to buy a cheeper dog? Be our guest and good luck!